Carmer Hook’s beautifully illustrated Welcome to God’s Balcony is brimming with happy, positive energy. Its vibrant pages and adorable characters make it an enjoyable read-to-me book, the kind of book that will become part of a child’s happy childhood hope chest. God’s Balcony is a wonderful, idyllic place where creatures driven to bring happiness, hope, and good cheer to the world reside. These creatures are especially excited today because YOU are visiting! Thomas the Bird and Possum (the possum) are all in an energetic fuzzy-fluffy bundle, but the fairy Alethea will calm them down. You will meet all the wonderful children and creatures that come, go, or live in God’s Balcony, and they are very interesting. There’s a sweet and gentle giant, some very happy clouds, and two sisters with an angel, just to name a few. Best of all, these wonderful creatures are getting ready to tell you some great stories, so enjoy your visit! We are all here to help you find your way to God’s Balcony, because we want more than anything to help you find your way to love, magic, and fun. The next time you feel the wind on your face, listen very carefully, for perhaps Wind is reminding you of us all, and simply remember that we are all a part of the same story. The author presents young readers with an elysian place of fun and stories that makes even a jaded pessimist like myself smile indulgently. The narratives are sweet and hopeful, conveying a positive spiritual message of peace and harmony with fellow creatures and love for the world that houses us all. Illustrator Robert Sauber’s rendering is done with inspired detail of feather and fur that when anthropomorphic expressions are added, the creatures become doubly adorable! To younger readers the vibrant colors, the fluffy details of Thomas’s feathers and the expressiveness on each creature’s face makes for a breathtaking visual accompaniment to some very comforting tales. Welcome to God’s Balcony is a keepsake book that brings joy to the reading experience of its youngest audience, and can become a happy memories to youngsters who are reading on their own. Recommended! 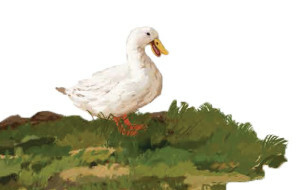 The duck you see to the left here, is also on the dedication page of Welcome to God’s Balcony. The duck has just successfully auditioned for a small role in the next book called, When Jess came to stay. 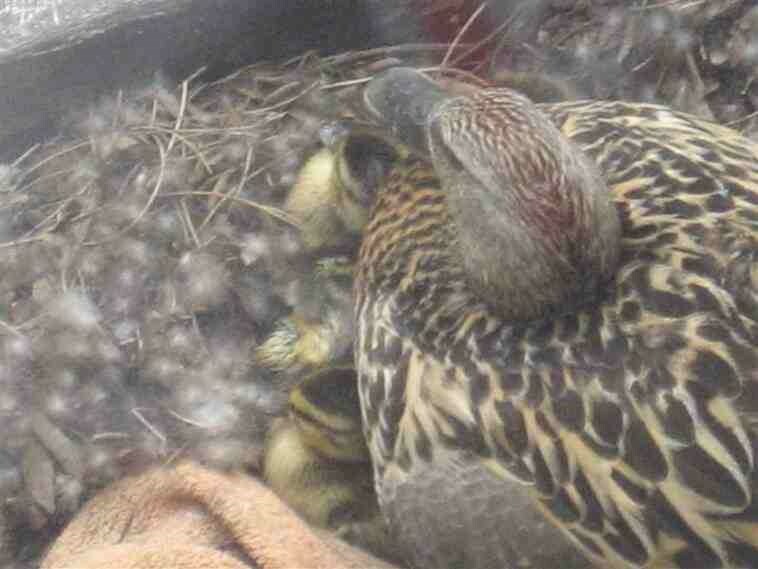 She is a mother of six ducklings. She calls out her name to someone in the story. If you can choose a great name for her, you can win a signed copy of, Welcome to God’s Balcony. Simply leave your suggestion in the contact box, with your name, age and where you are from. I was sent a lovely email by a friend today. 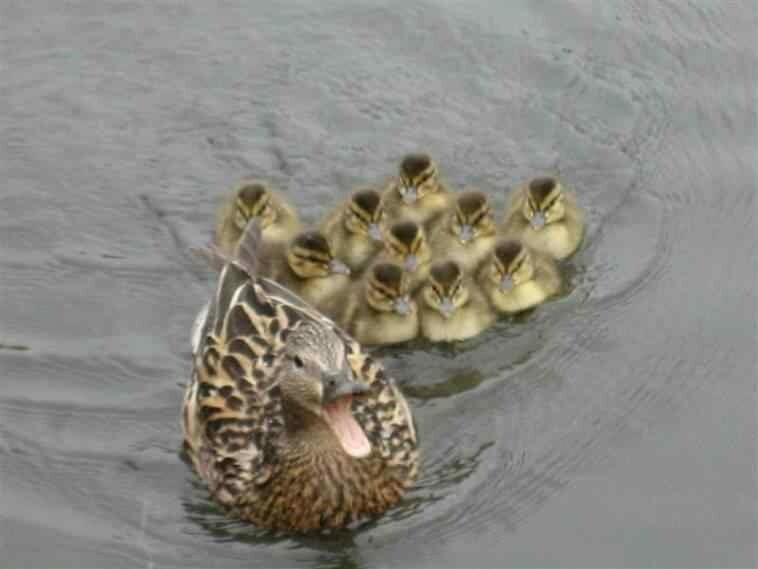 As you know, ducks are among the many creatures living happily on God’s balcony! 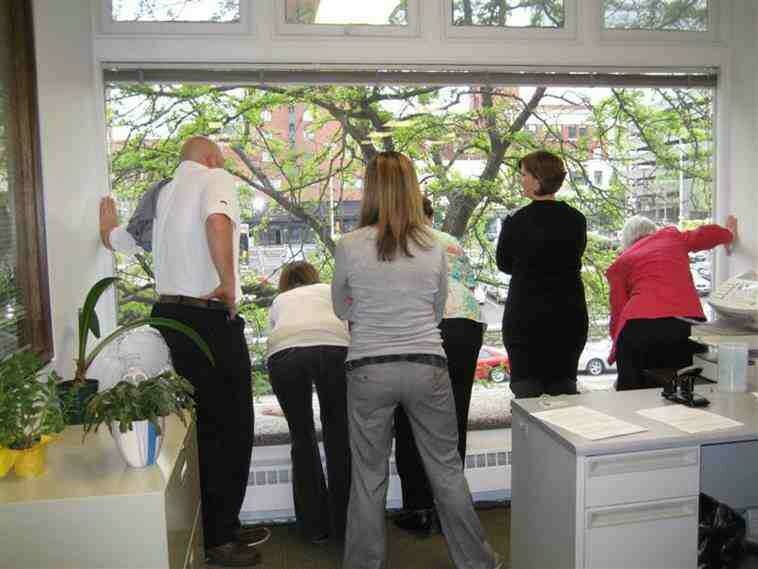 Michael couldn’t stand to watch this risky effort nine more times! 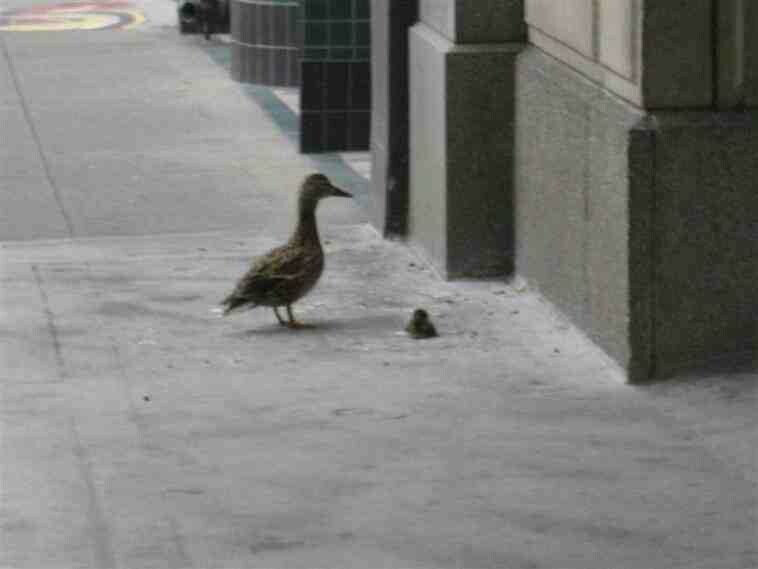 He dashed out of his office and ran down the stairs to the sidewalk here the first obedient duckling, near its mother, was resting in a stupor after the near-fatal fall. Michael stood out of sight under the awning-planter, ready to help. 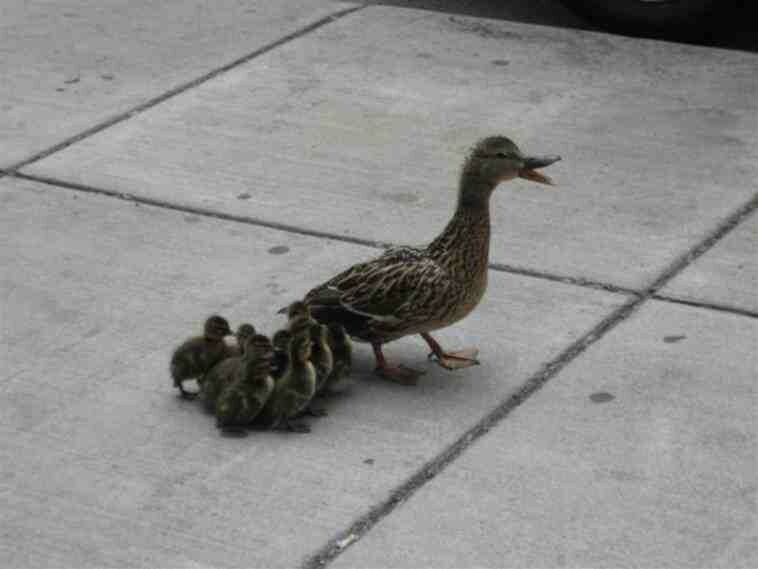 At this point Michael realized the duck family had only made part of its dangerous journey. They had two full blocks to walk across traffic, crosswalks, curbs and past pedestrians to get to the closest open water, the San Antonio River , site of the famed “River Walk.” The onlooking office secretaries and several San Antonio police officers joined in. 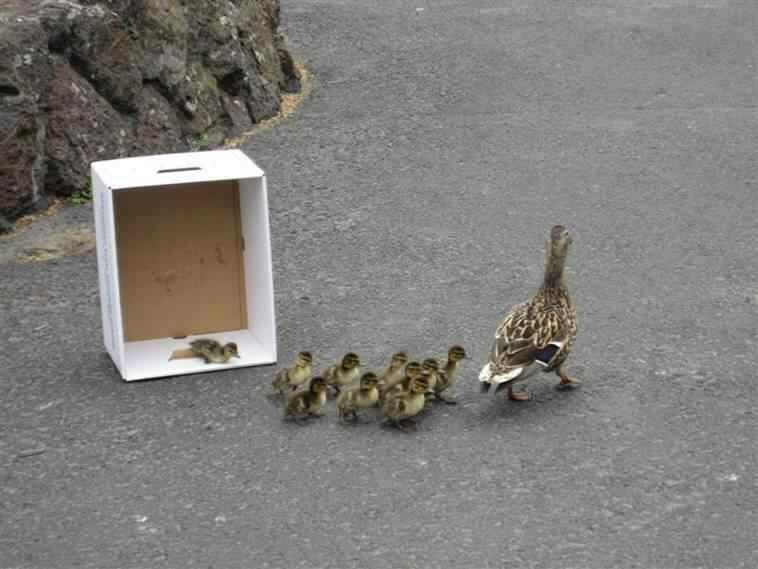 An empty copy-paper box was brought to collect the babies. They carefully corralled them, with the mother’s approval, and loaded them in the container. Michael held the box low enough for the mom to see her brood. 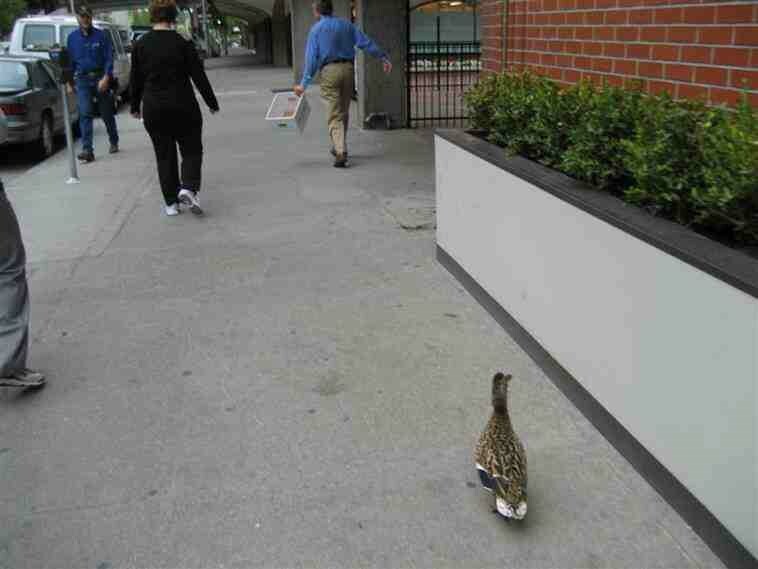 He then slowly navigated through the downtown streets toward the San Antonio River. 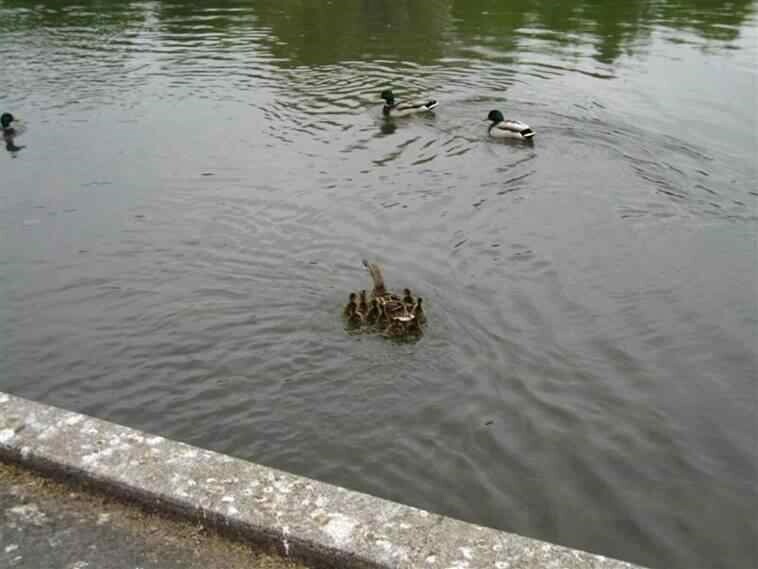 The mother waddled behind and kept her babies in sight, all the way. Possum stepped forward, puffing his chest out. “It is now time for our storytelling,” he said with great pride.